For eligible U.S. home buyers, the VA loan can be the best mortgage choice for a purchase. Backed by the U.S. Department of Veterans Affairs and made possible by the G.I. Bill, the VA loan allows for no down payment, requires no mortgage insurance, and give applicants access to flexible mortgage guidelines. Furthermore, VA mortgage rates are often lower as compared to other home loan products. So, how do you get a VA home loan? Here’s a step-by-step guide to what you’ll need to do. Skip to today's live VA mortgage rates (Apr 25th, 2019). Most U.S. military veterans are eligible for a VA loan. But vets aren’t the only ones who qualify. Most active-duty service personnel, National Guard and Reserve members, surviving spouses of deceased veterans and others can also be eligible. A VA-approved lender can help you determine whether you fit the VA loan requirements. A COE is a simple document that proves to the lender that you are eligible for a VA loan. Your lender can help you get this document through an online system that can tap into the VA records to confirm your service. In mosts cases, a COE can be generated in seconds. All VA loans require a COE except for the VA Interest Rate Reduction Refinance Loan (IRRRL), which lowers your interest rate by refinancing your existing VA home loan. The VA establishes the rules and guidelines for VA loans. It doesn’t set interest rates, points or other loan closing costs. This is one reason it can be a good idea to shop for the “best deal” — something the VA actually encourages. As part of getting pre-qualified, the lender will check or “pull” your credit history and may ask to see recent pay stubs, bank statements and other basic financial paperwork. The more information you provide, the better your lender can explain your available loan options. Help you compare different VA loan options that might fit your needs. Tell you how much you can borrow with a VA loan and how much your monthly payment will be. Help you complete an application for a VA loan. Provide you with a bona fide prequalification letter to help you buy the home you want. At this point, it’s okay if you’re not ready to settle on a lender. Banks provide VA pre-qualifications as a free service to buyers with no additional cost or obligation. After you’ve obtained your COE and prequalification letter, you’ll be ready to look at for-sale homes with a REALTOR®. Your agent can help you find a home that you like (and can afford) based on the loan amount for which you’ve been pre-qualified. Remind your agent to include a VA loan contingency in your purchase agreement which will protect you in the event you cannot close your loan. Once you’ve found a home, your lender is tasked with most of the work, which happens behind-the-scenes, to ensure your loan is approved and ready for closing. You might be asked to supply additional financial paperwork during this part of the purchase, and the lender will also arrange for an appraisal of the home to make sure you haven’t over-paid as compared to the market. For home purchases, the VA also recommends that you commission a home inspection, so you’ll be informed about the condition of the home and its major components, such as the roof, appliances, electrical wiring and plumbing. Tested the home for lead-based paint, radon and other substances may be advisable, too. Note that appraisals are not required for the VA IRRRL program, which is sometimes called the VA Streamline Refinance. When your mortgage approval is complete, you can sign your VA mortgage note and other loan documents at your “closing”. Closings often take place at a specially-designated location known as a title company close to your home or office. Sometimes, they can occur in-home — be sure to ask your lender if an in-home closing is available to you. At closing, you will receive information about where to send your monthly payments. Home buyers will also be receive new house keys from their seller. 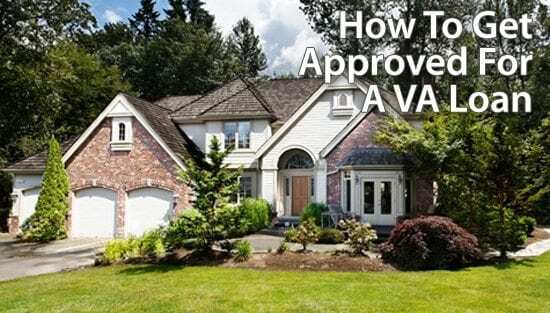 For VA-eligible buyers, mortgage approvals can be simple. There are fewer hurdles in the VA loan program as compared to comparable mortgage products. Plus, mortgage rates often lower than “market rates” from Freddie Mac, for example. See how today’s VA loans can help you with your purchase or refinance. Mortgage rates are available online. It’s fast, it’s free, and your social security number is not required. Click here to see today's VA mortgage rates (Apr 25th, 2019).